Christmas is my very favourite time of the year and, yes, I am one of those people who gets extremely excited for the festivities before December has even arrived. Maybe a little too excited. Because who can really resist singing joyful Christmas tunes at the top of their voice or having a merry smile on their face in the run up to Christmas Day? I certainly can’t so why wait until 1st December! However, I wasn’t quite expecting to be feeling all Christmassy during Springtime. That’s a little early even for me. 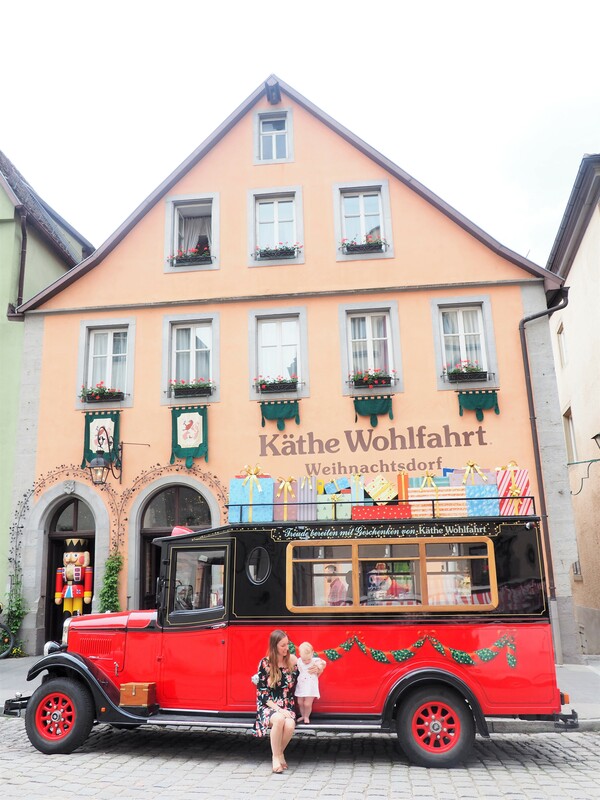 But when we visited Germany’s most picturesque fairytale town, Rothenburg ob der Tauber, back in May there really was nothing I could do to stop the festive cheer when one of the town’s main tourist attractions is the Christmas Museum. Admittedly I didn’t have to go inside – but who was I kidding, I obviously did anyway! 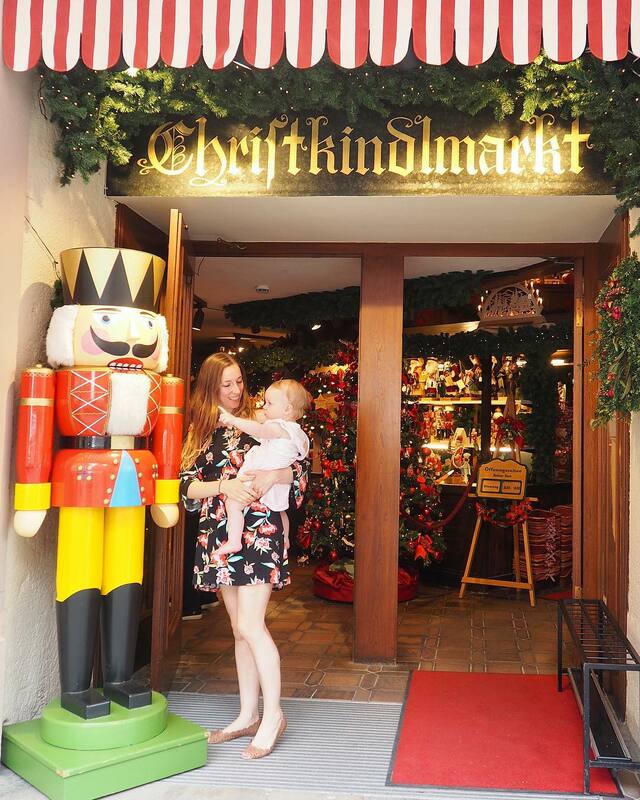 Regardless of the floral dresses and sandals we were wearing or the fact that the sun was shining bright outside, we went to see Santa, marvelled at the thousands of snowy decorations and ooh-ed and ahh-ed at all the twinkly lights. I have never seen anything quite like it inside the Käthe Wohlfahrt museum. Giant Christmas trees towered over us, twinkling stars dotted the ceiling, snow covered the ground and the rooftops, and we wandered around dancing along to merry Christmas tunes. It is impossible not to have a huge smile on your face in here! I would have gladly emptied my bank account out with each little decorative item, pretty bauble, joyful Santa Claus statue and soft reindeer toy, each more irresistible than the last, and I could have done all my Christmas shopping right then and there if I hadn’t had to carry everything around with me for the rest of our trip! I could fib and say that I visited here purely for Evie but that would be a total lie. I was just as spellbound as she was. It was a total dream! Back outside in the sunshine I couldn’t help but still feel like we were in a little Christmassy dream bubble so the next best thing to keep up the charade of the holiday season was to buy ourselves some schneeballen. 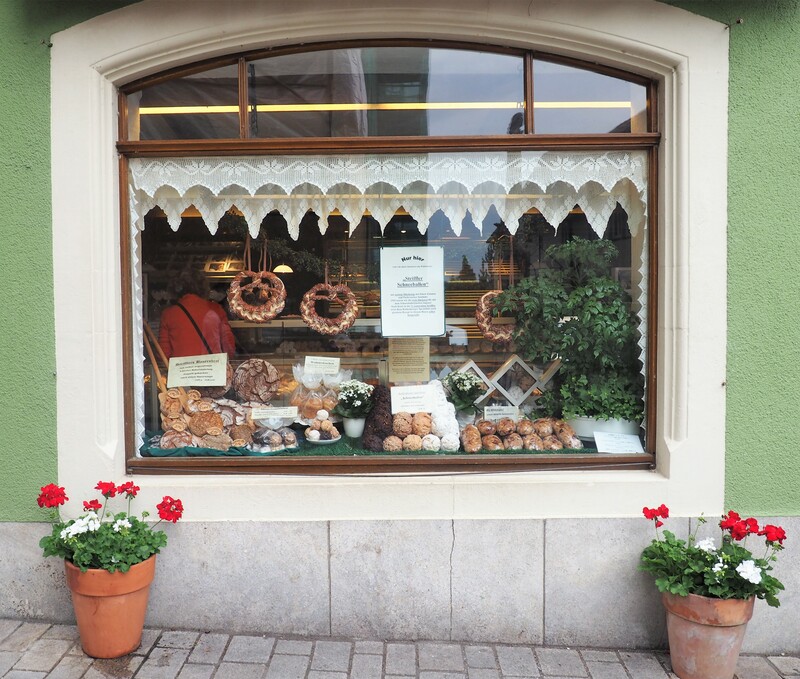 Almost every other shop in every single street displays them delectably in the windows so there’s really no getting away from trying one. But I definitely recommend two. Shortcrust pastry rolled into balls, dusted with sugar and filled with whatever your heart desires – chocolate, strawberry mousse, caramel, honeycomb, Baileys (yes please). Basically a giant heavenly snowball. 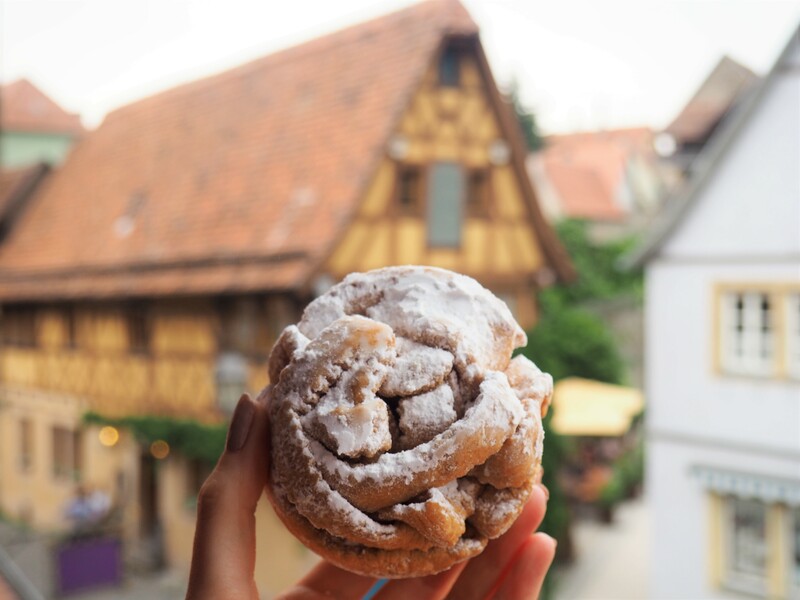 The best idea was then probably to burn off some of the many many calories from devouring all the schneeballen, so we took a walk around the ridiculously adorable town. 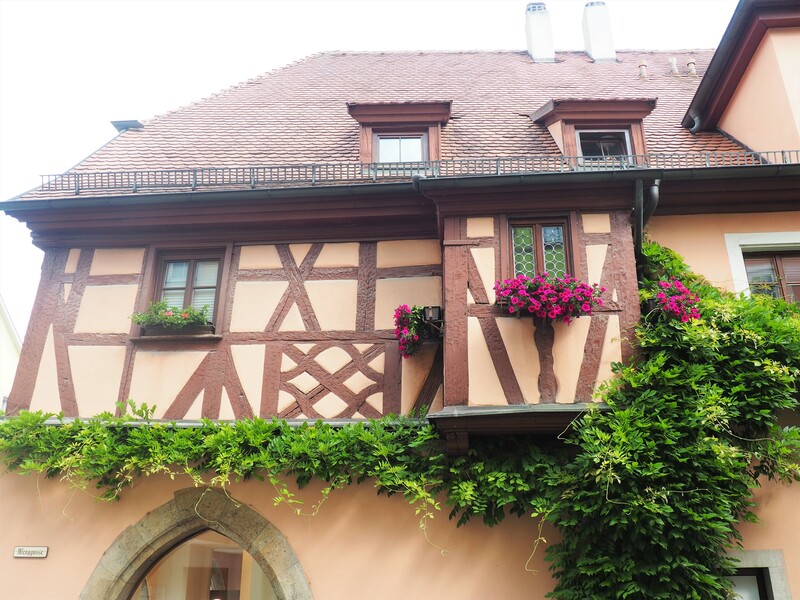 Rothenburg ob der Tauber is without a doubt the cutest, prettiest, most magical place I have ever visited. For a Disney fanatic and princess lover such as myself, I was quite literally in fairytale heaven. 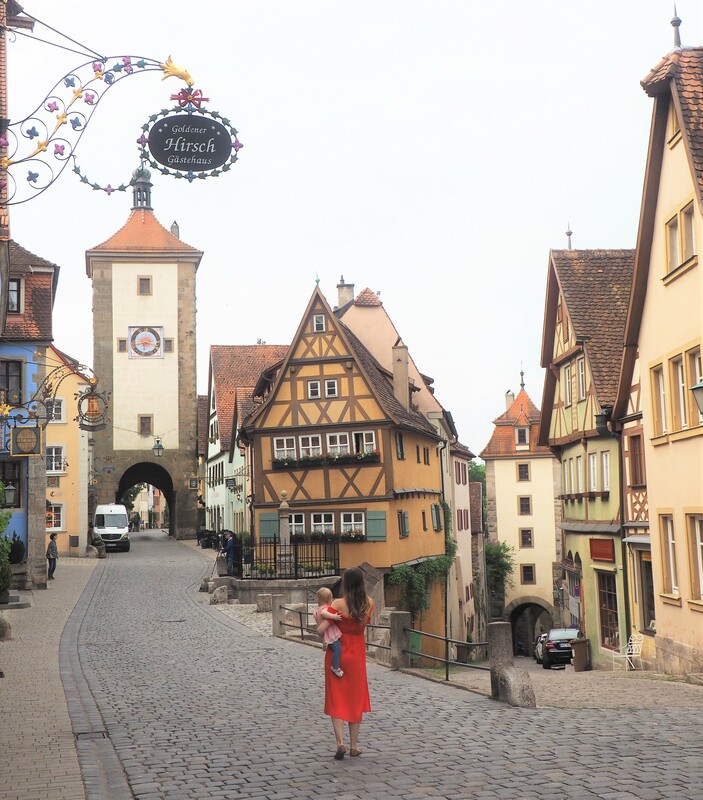 The town is said to be the inspiration behind the village in Disney’s Pinocchio but it reminded me more of the town where Belle lives in Beauty & the Beast. 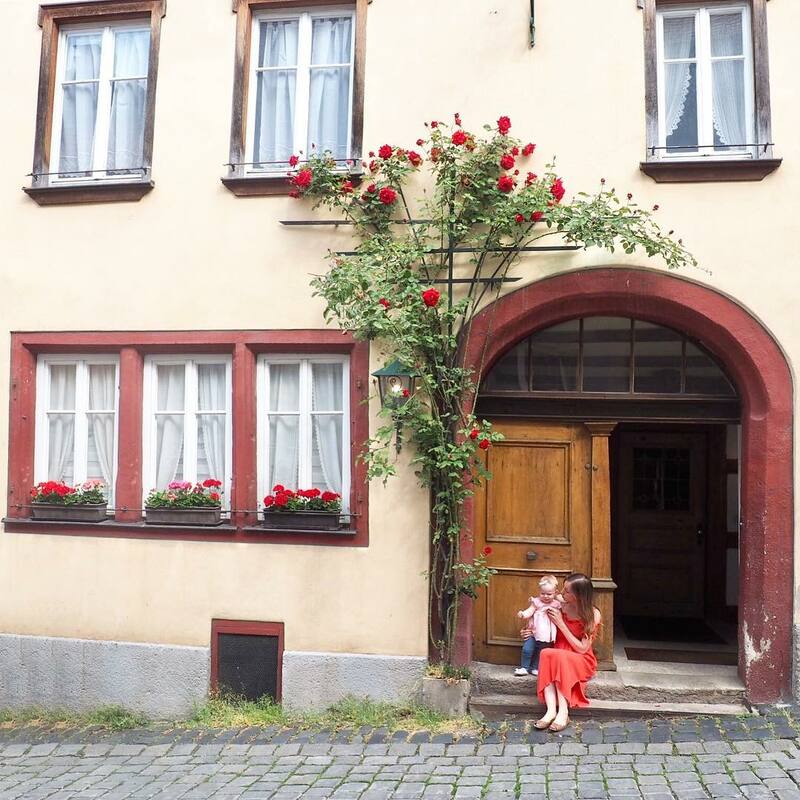 Our room in the little guest house looked directly out onto the main street with it’s medieval style houses and chiming clock tower, and it made me feel like Belle throwing open her shutters in the morning to see the locals walking by below. 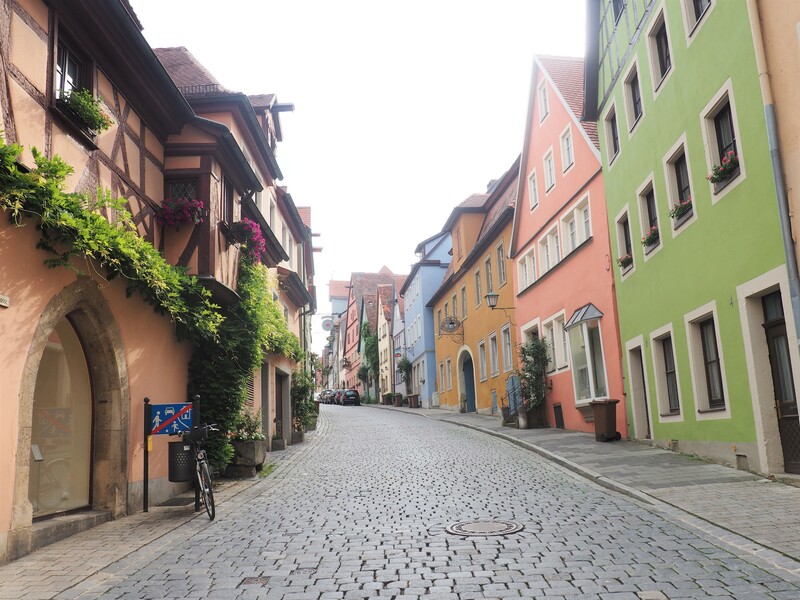 Every cobblestone street we wandered down seemed to get more colourful and more fairytale-esk and up on the walk around the city’s walls the view was even more scenic. 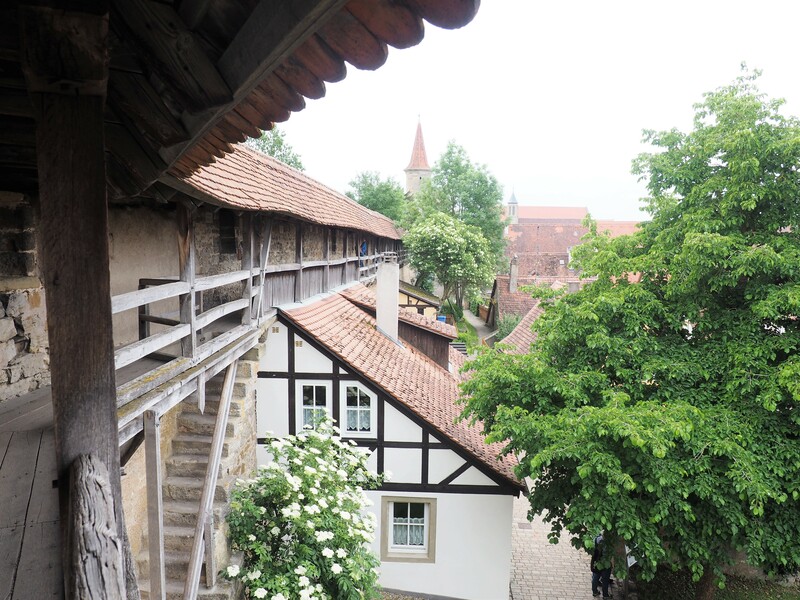 It’s no surprise that the place is packed with tourists, visiting on day trips from other parts of Germany (I wrote about this being one of the best day trips to take from Munich as it’s only a couple of hours away). But we decided to stay overnight and it was so lovely practically having the place to ourselves once all the day trippers had left and again the next morning, wandering down the peaceful streets, before all the tourists descended on this sleepy town again. Even though the town is only small and there isn’t a lot to actually do here, one night was just not enough for me. I absolutely adored this place, was completely captivated by its enchanting atmosphere, and would go back in the blink of an eye. 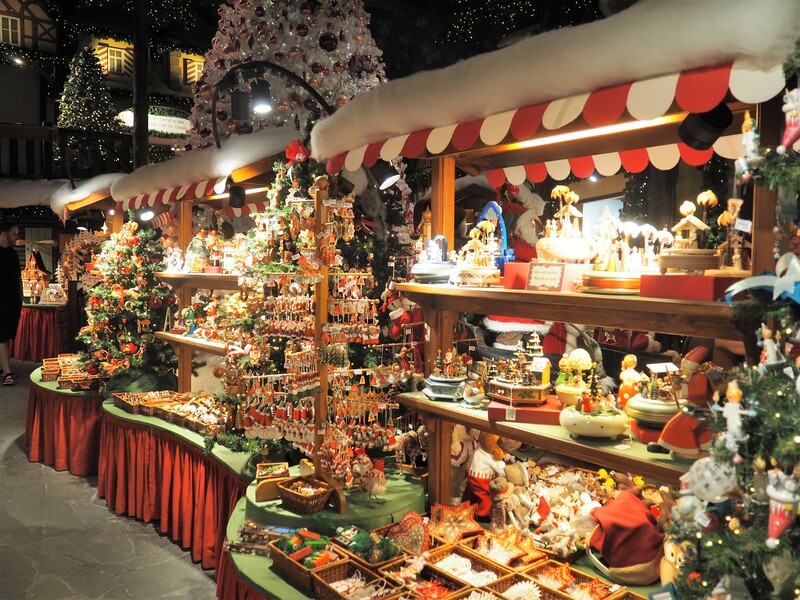 I can only imagine how absolutely magical Rothenburg is during the actual real Christmas season. I can just picture the adorable little streets covered in snow and lined with festive market stalls. I think I may have just talked myself into a trip back one there one Christmas time! Yes, it was a little strange to be feeling all Christmassy in May but who can resist the magic of Christmas 365 days a year? Definitely not me! it really is a little fairytale spot by the looks of it! Christmas every day of the year! Yes it is! So picture perfect! This is amazing!! 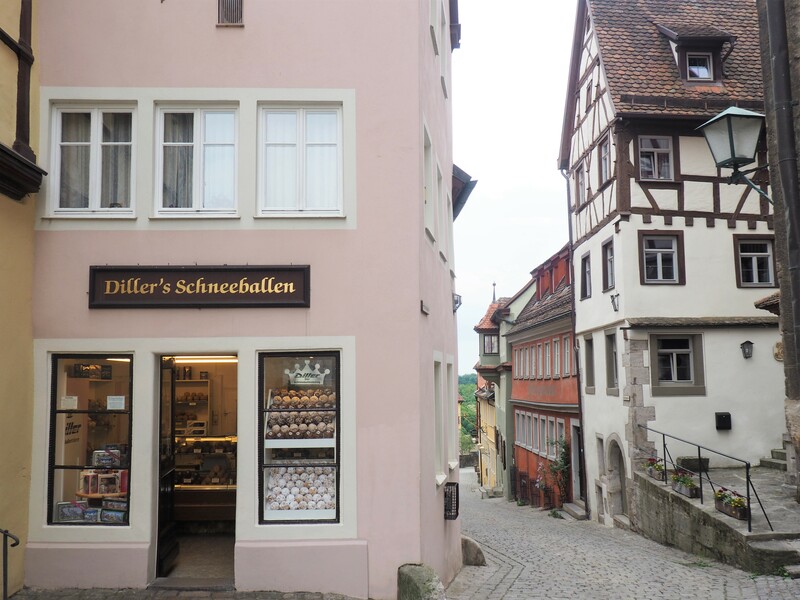 Also, I need a schneeballen in my life…!! 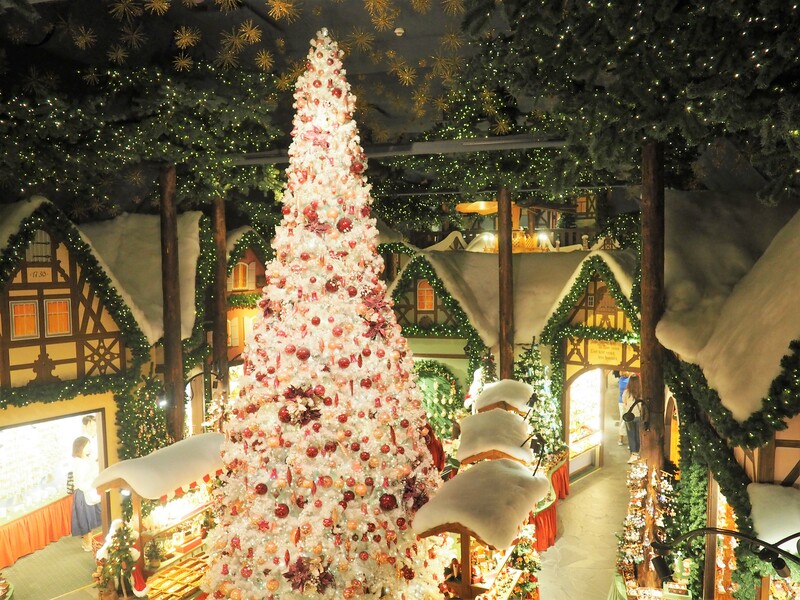 Yep, that place is definitely a Christmas lover’s dream! It really is! Can only imagine how magical it is at Christmas time! 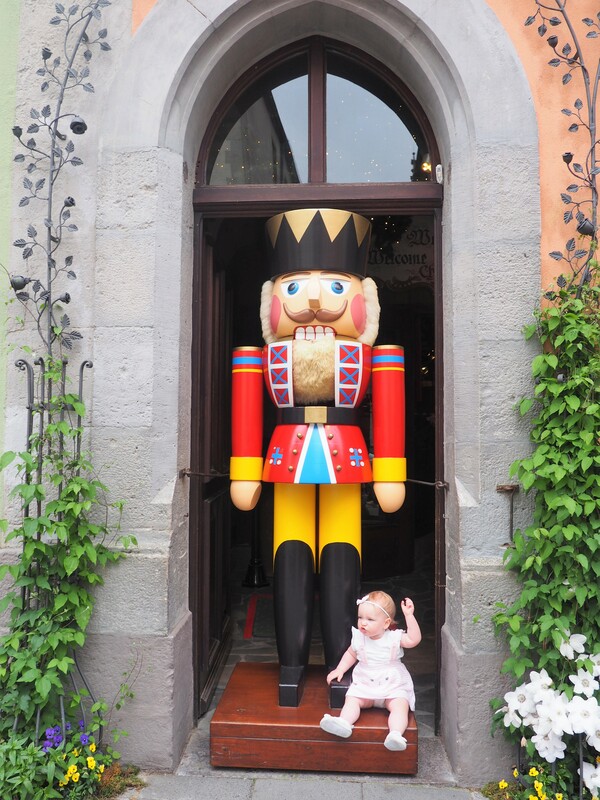 If you ever find yourself in Bamberg, they also have a small Christmas shop all year round. And Husum has a Christmas museum (also with a shop). Ooh thank you! Germany is just magical at Christmas time!